When I research a domain or website, I sometimes want to find out about other websites that the company or owner maintains. Why can this be important? 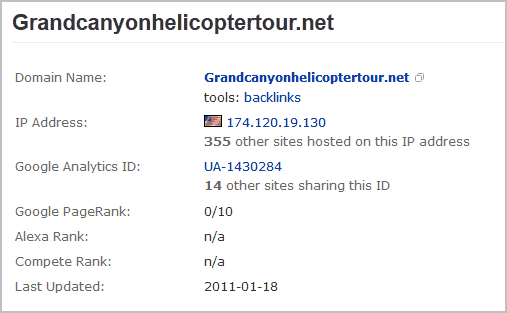 Lets say I want to buy a website about Grand Canyon Helicopter Tours. With a reverse lookup I can make sure that the guy who is selling the domain is not owner of another site in the same niche. This could be bad for numerous reasons and is best to be avoided. A check of other web properties could also provide information about the level of business of a seller, or the expertise. 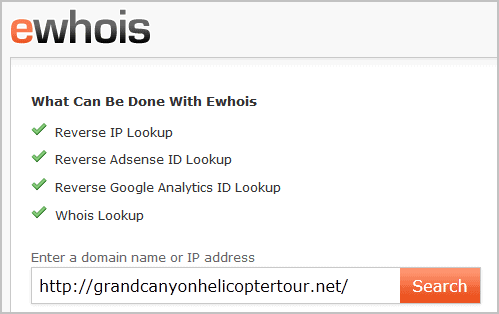 Ewhois is a free online service that can lookup information about a website online. All you need to do is to enter a url into the form on the service's frontpage. Make sure you only enter the domain name and no protocol in the form. A click on search submits the site to the service, which, after some magic, displays its findings on the results page. The results page displays general information about the selected domain at the top. You see the domain's IP address, Google Analytics ID, Pagerank, Alexa and Compete Rank as well as the data of the last update. The amount of sites that share the same IP address and Google Analytics ID are also displayed here. Below that is a tabbed interface that displays the contents of the reverse IP lookup, Reverse Google Analytics ID Lookup, Google Adsense ID Lookup and Whois Record. The Adsense and Analytics tabs are only displayed if the scripts are embedded on the target site. 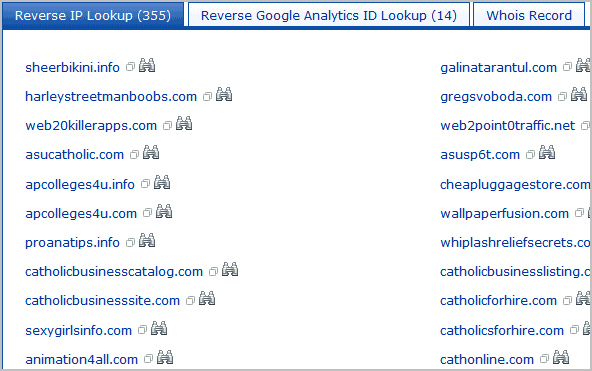 The reverse IP lookup tab displays all websites that are hosted on the same IP address. Websites with an Alexa rank of less than 1000000 are displayed with their Alexa rank on screen. All others with a link to the website and a link to run the lookup for that site on eWhois. Both the Reverse Google Adsense and Google Analytics ID lookup list websites that use the very same scripts on their sites. This can be usually tied to the same owner directly. The script may not list all sites of the owner in the listing. Still, the sites listed can reveal useful information about the original site's owner. Ewhois' service sets itself apart from other services by displaying all the lookups that other services are usually only offering on separate pages. It is easy to use and comes without obtrusive advertising. What are you posting there that is not on gHacks?